The rise in fiber adoption by service providers is fueling the demand for workers who can skillfully build and certify fiber plants, especially for deployment of Fiber to the Home (FTTH). This means that installers and contractors, who are traditionally trained in copper or coax network installation, must now also qualify and troubleshoot fiber installations, typically using an OTDR. 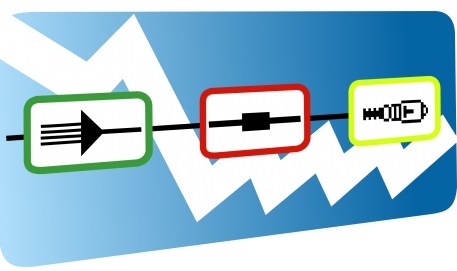 The challenge is that OTDR testing and analysis have been viewed as difficult because OTDRs can be complex to configure and measurement results can be hard to interpret. And yet, the demand for fiber—and fiber testing—is not going away. Without OTDR testing, fiber installations may be delayed and/or flawed and troubleshooting can be a frustrating effort that leaves both the tester and the customer unhappy. A better way to interpret OTDR results was needed to avoid potentially costly mistakes and to make sure network activation happens right the first time around. To address this challenge, VIAVI has added Smart Link Mapper (SLM) to its leading instruments. 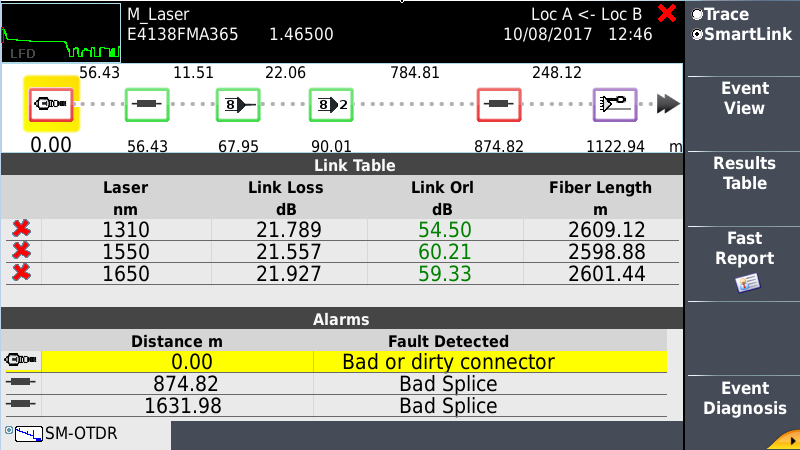 SLM takes an OTDR trace and simplifies it to a series of icons representing the fiber link under test. As shown above in the upper right of the screen, the user can toggle instantly between the OTDR trace and SLM views making the reading and interpretation of OTDR results easy. In addition, SLM has been customized to speak your network language. It features individual variants that address specific applications to make test and certification in those environments even easier. The Fiber to the Home SLM (FTTH-SLM) reflects the relevant workflows, terminology, and optical components found specifically in FTTH deployments. It also uses relevant icons, labels, and descriptions to depict PON/FTTH network elements and not those for Enterprise/Data Center or Fiber to the Antenna (FTTA) deployments. With increasing numbers of splitters and legs on an FTTH network, VIAVI FTTH-SLM now features another bit of OTDR magic called Smart Acquisition (SmartAcq). SmartAcq improves how the OTDR detects the events along the FTTH link by running multiple tests and combining them into one single view for the user. The number of pulse widths used by FTTH-SLM SmartAcq has just been bumped up to six per wavelength making the VIAVI OTDR one of the most accurate and repeatable OTDRs available today (not to mention the most compact and lightweight too). Without being too clever about it, our Smart Link Mapper and Smart Acquisition features will help you GET FIBER SMART. 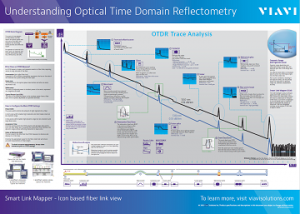 If you want to learn more—visit our web pages on the Smart Link Mapper, Fiber to the Home, or download this poster, Understanding OTDR.